2017’s Asus Zenfones might not be able to impress users as much as expected, but it looks like Asus is fully prepared to amaze with its upcoming Zenfone 5 series smartphones. 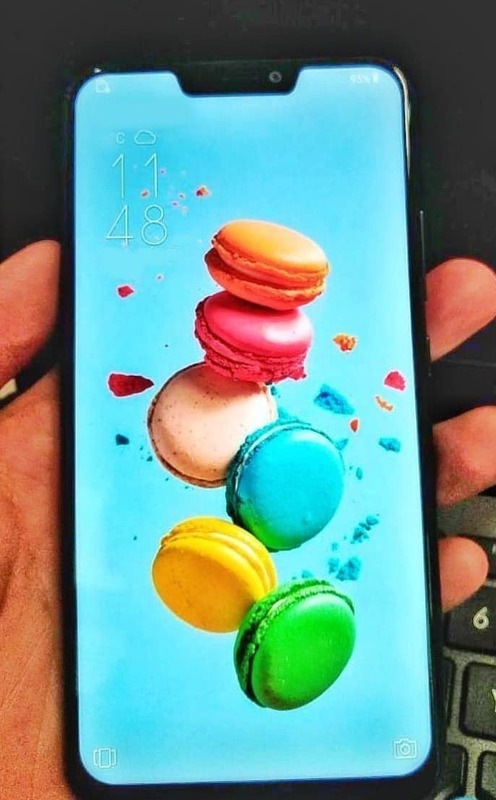 We have already seen some leaks revealing the design of some of the model like Zenfone 5, Zenfone 5 Lite, etc. Recently, the Asus Zenfone 5 showed up in the wild with ‘iPhone X-ish’ notch on top along with a vertical dual camera setup which again showed how Android smartphone manufacturers are getting obsessed with notches and vertical dual camera setups. 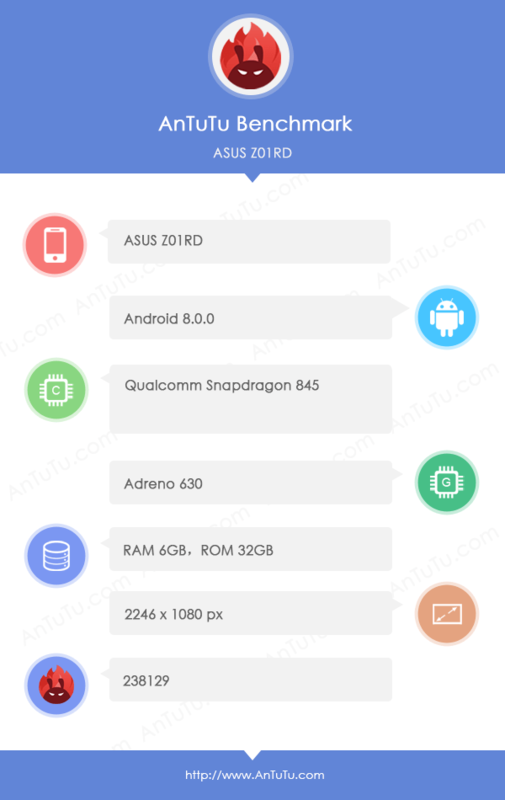 Today, an upcoming Asus smartphone was spotted on AnTuTu benchmark with the model number Asus Z01RD which could be the Zenfone 5 or the most high-end variant of the Zenfone 5 series. This is because as per AnTuTu, it has the cutting edge Snapdragon 845 processor under the hood along with 6GB of RAM and 32GB ROM. Wait, What? Just 32GB ROM along with 6GB RAM? It looks like there is some error in AnTuTu app as it did the same (6GB RAM along with 32GB ROM) with the Nubia NX606J that was spotted yesterday. Anyways, this is most probably a bug in the app so we can assume 64 or maybe 128GB ROM along with 6GB RAM for the Asus Z01RD. The display has a resolution of 2246x1080p which surely means that the phone has a notch on top. So, this is most probably the Asus Zenfone 5 ( or maybe 5 Pro!). Android Oreo runs out of the box with, of course, ZenUI on top. Lastly, the phone scores 230K (238129 to be precise) on AnTuTu benchmark which is still less than what the Galaxy S9+ scored when it was spotted on AnTuTu recently. The phone is expected to be launched at the February 27th event, so there are still some days left for the official announcement. Stay Tuned.